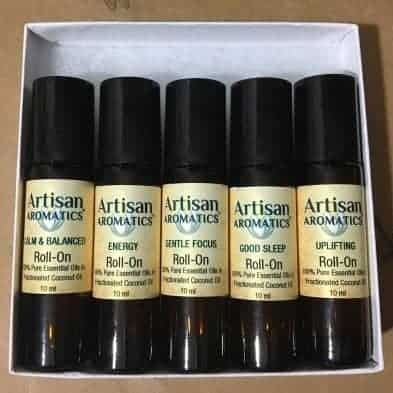 Aromatherapy Roll-On Collections in Gift Box. Buy 4 and the 5th one is FREE. Choose one of our Aromatherapy Roll-On Collections. Each Ready-to-Use Aromatherapy Roll-On contains Essential Oils diluted in Jojoba. Aromatherapy Roll-On Collections in Gift Box. 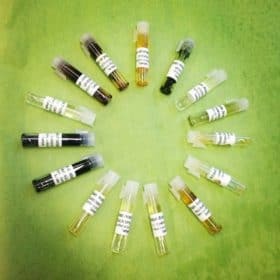 Choose one of our Aromatherapy Roll-On Collections. Each collection contains 5 glass 10ml amber aromatherapy roll-ons in a white gift box. Each Aromatherapy Roll-On Collection is priced so that you’ll receive 5 roll-ons for the price of 4. In other words, one aromatherapy roll-on in each Roll-On Collection is FREE. These Aromatherapy Roll-On Collections are Ready-to-Use and Make Great Gifts. 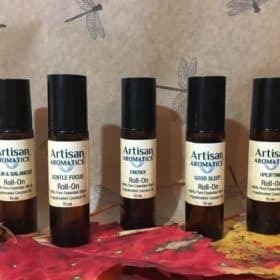 The great thing about Roll-Ons is that Essential Oil Roll-Ons allow us to dilute our Artisan Aromatics Essential Oils and Artisan Aromatics Aromatherapy Blends so that they can be used correctly on the skin. Ready-to-use Roll-Ons offer you ease of use and because they are “ready-to-use”. 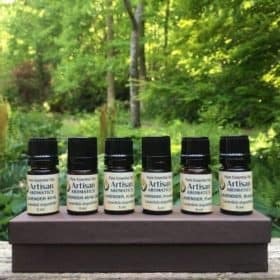 Aromatherapy Roll-Ons also make great gifts. 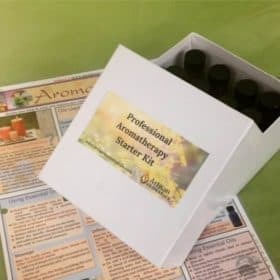 You can give these Roll-Ons to friends and family who may not know as much about aromatherapy and the use of essential oils as you do.